House for Sale in Rahim Yar Khan, Punjab. Asking price: 14,500,000 PKR. Bedrooms: 5. Bathrooms: 5. House for Sale in Rahim Yar Khan, Punjab. Asking price: 11,000,000 PKR. Bedrooms: 6. Bathrooms: 5. House for Sale in Rahim Yar Khan, Punjab. Asking price: 10,000,000 PKR. Bedrooms: 6. House for Sale in Rahim Yar Khan, Punjab. Asking price: 3,650,000 PKR. Bedrooms: 3. Bathrooms: 4. House for Sale in Rahim Yar Khan, Punjab. Asking price: 9,000,000 PKR. Bedrooms: 6. Bathrooms: 6. House for Sale in Rahim Yar Khan, Punjab. Asking price: 4,600,000 PKR. Bedrooms: 3. House for Sale in Rahim Yar Khan, Punjab. Asking price: 4,700,000 PKR. Bedrooms: 4. Bathrooms: 5. House for Sale in Rahim Yar Khan, Punjab. Asking price: 20,000,000 PKR. Bedrooms: 7. Bathrooms: 7. House for Sale in Rahim Yar Khan, Punjab. Asking price: 9,500,000 PKR. Bedrooms: 5. Bathrooms: 5. House for Sale in Rahim Yar Khan, Punjab. Asking price: 27,500,000 PKR. Bedrooms: 7. House for Sale in Rahim Yar Khan, Punjab. Asking price: 6,000,000 PKR. Bedrooms: 6. House for Sale in Rahim Yar Khan, Punjab. Asking price: 7,500,000 PKR. Bedrooms: 3. Bathrooms: 4. House for Sale in Rahim Yar Khan, Punjab. Asking price: 4,200,000 PKR. Bedrooms: 3. House for Sale in Rahim Yar Khan, Punjab. Asking price: 10,500,000 PKR. Bedrooms: 4. Bathrooms: 4. 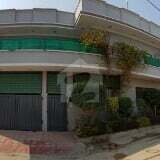 House for Sale in Rahim Yar Khan, Punjab. Asking price: 3,500,000 PKR. Bedrooms: 3. Bathrooms: 3. House for Sale in Rahim Yar Khan, Punjab. Asking price: 37,500,000 PKR. Bedrooms: 6. Bathrooms: 6. House for Sale in Rahim Yar Khan, Punjab. Asking price: 8,000,000 PKR. Bedrooms: 5. Bathrooms: 5. House for Sale in Rahim Yar Khan, Punjab. Asking price: 3,800,000 PKR. Bedrooms: 4. House for Sale in Rahim Yar Khan, Punjab. Asking price: 4,400,000 PKR. Bedrooms: 2. Bathrooms: 3. House for Sale in Rahim Yar Khan, Punjab. Asking price: 5,000,000 PKR. Bedrooms: 5. Bathrooms: 5. House for Sale in Rahim Yar Khan, Punjab. Asking price: 6,500,000 PKR. Bedrooms: 5. Bathrooms: 5. House for Sale in Rahim Yar Khan, Punjab. Asking price: 4,800,000 PKR. Bedrooms: 5. Bathrooms: 3. House for Sale in Rahim Yar Khan, Punjab. Asking price: 6,300,000 PKR. Bedrooms: 6. House for Sale in Rahim Yar Khan, Punjab. Asking price: 17,000,000 PKR. Bedrooms: 6. Bathrooms: 6.